Improve athletic performance with this terrain-based technique class that focuses on cadence, climbs, and sprints for a challenging ride that follows the unpredictability of real-world roads. Enjoy the energy and music! Prepare for a sensational sculpt! Dispersed with short bouts of cardio bursts, you will strengthen your entire body with essential conditioning moves in a variety of sequences and equipment. Our goal is to keep your heart rate up as you sculpt head to toe. Perfect for all fitness levels. With a combination of Circuit, AMRAP (as many reps as possible) and Tabata, you will never be bored with every class being different. Using both body weight and weighted movements, you are sure to get a full-body workout! Join us for a high intensity full body workout! Learn all the basic boxing skills while muscle toning. We will be doing challenging partner work combinations with gloves and pads to give you a real boxing experience. A great new addition to your weekly workout routine! Want to be in Boot Camp, but not keen on the outdoors? This class if for you! Combine strength training, cardio, and endurance in this ultimate high-intensity interval training format. It leaves you breathless with intense, incredible results. 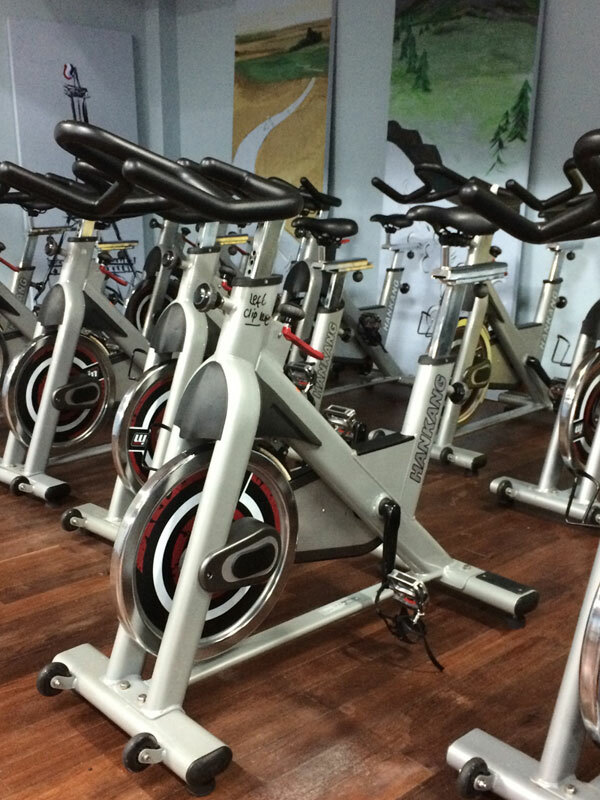 Spin bikes, body weight, and equipment used. This signature class is one of our most popular classes! Bootcamp training is an overall body workout that changes each week. 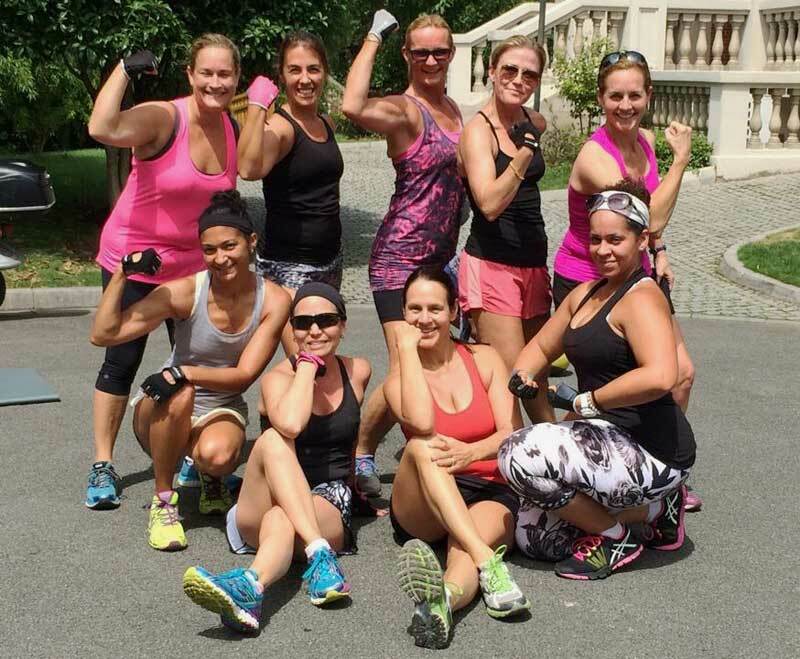 Not only do you bond with wonderful women from all over the world, you will develop muscle strength, cardio endurance, and BURN calories. This class is designed to build strength and fitness through a variety of intense group intervals and body weight exercises such as push-ups, lunges, planks, squats, and core work. Use of weights, balls, jump ropes, weighted balls, TRX straps, and bands are also incorporated. 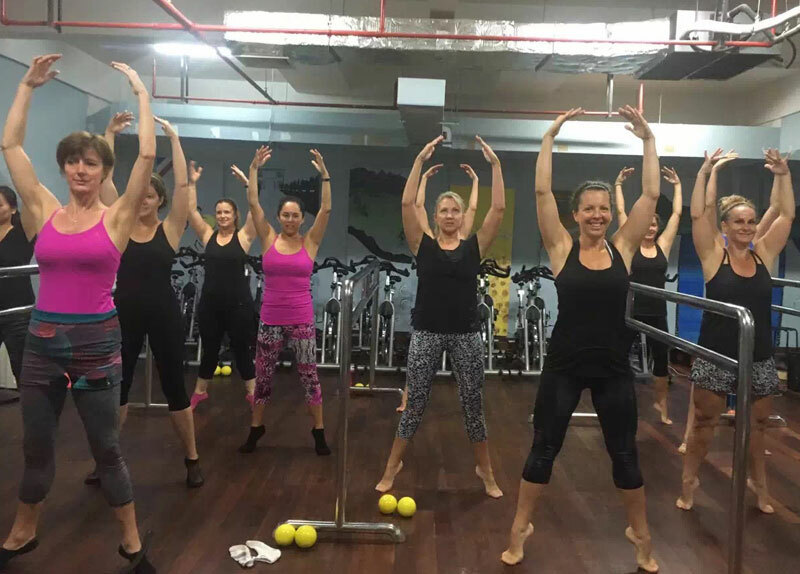 Barre Amped is a class that combines Barre Fitness with the proven benefits of high intensity interval training (HIIT) and lots of movement. A results driven routine incorporates elements of barre, sports conditioning and cardio drills that will have you burning calories long after you leave the studio. Use of the barre, balls, disks, and the bender bar will be used. Be prepared to sweat! A high energy class that emphasizes the foundations of Barre, with a strong focus on postural strength, alignment, core, balance, breath, and muscle action. These classes include arm work, leg work, core work using the barre. This class is foundational yet very challenging. Pilates Mat is a faster paced class using the foundational work that incorporates all of the Pilates principles of control, centering, concentration, breathing, precision, and flow. Students are guided through a dynamic series of exercises on the mat (floor) that flow and progress with skill level. Mat classes may incorporate balls, the Pilates circle, form rollers, and other fitness tools. This Pilates class will incorporate the building blocks of Pilates. This mixed-level Mat class is taught with variations and modifications to suit all levels. Pilates Mat is the foundational work that incorporates all of the Pilates principles of control, centering, concentration, breathing, precision and flow. Students are guided through a dynamic series of exercises on the mat (floor) that progress with skill level. 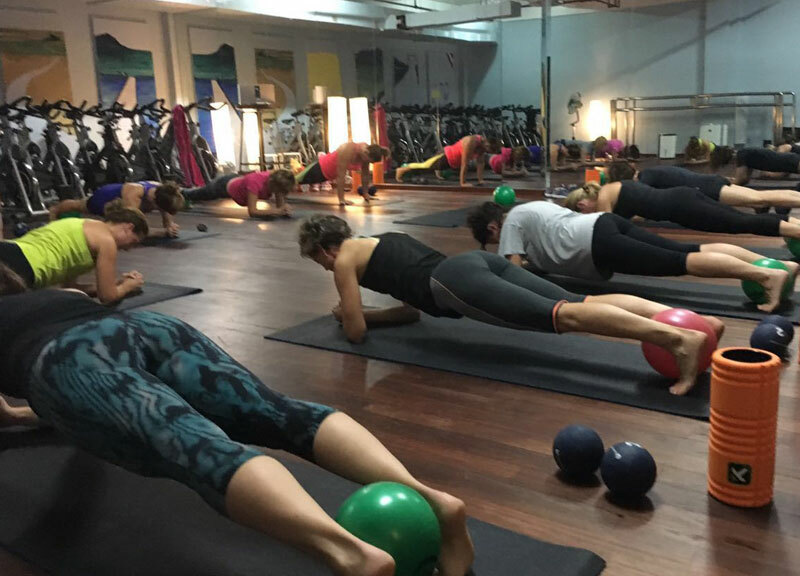 Mat classes may incorporate balls, the Pilates circle, foam rollers, and other fitness tools. A flowing yoga class for those with a consistent yoga practice. Deeper, more advanced poses will be explored along with full inversions, deeper back-bends, and arm balances. Because of the pace of this class, an understanding of how to adapt the down dog – plank – chatturanga – up dog sequence to suit your own needs is required. Jumping back into chatturanga and rolling over the toes into upward facing dog will be taught. 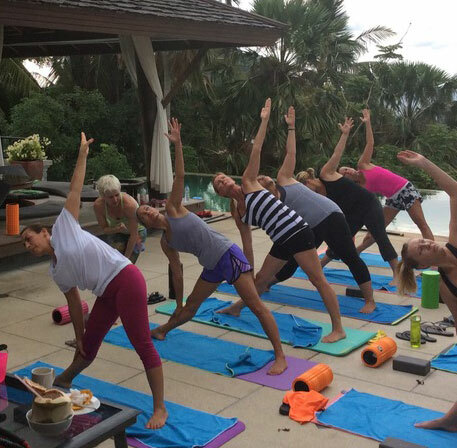 A sun-salutation-based class. Familiarity with yoga poses is helpful, but not mandatory. This class will generate heat in the body to help build flexibility and strength. The class follows an intelligent progression that moves from basic to deep. No fancy poses or full inversions will be taught. Some poses will be held for longer periods of time to develop greater awareness, strength and flexibility. In general, this class will move at a flowing pace. Expect to sweat.